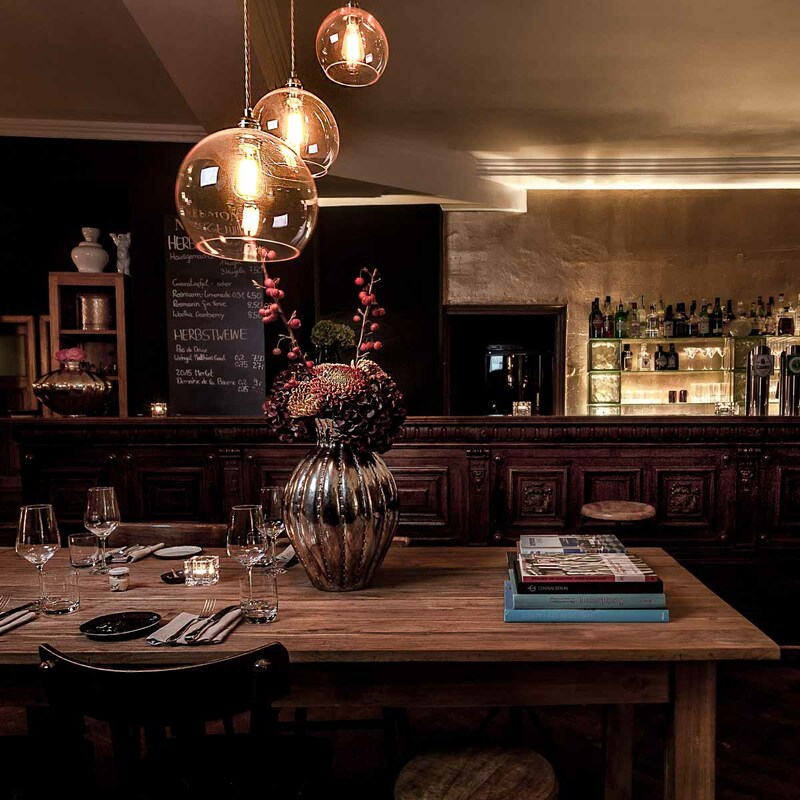 The owners of restaurant Neumond in the Honigmond hotel in Mitte are new restauranteurs. Tim comes from the restaurant and hotel industries, Vitali from the travel business. But you don’t have to look further than the interior of Neumond for proof of their excellent taste! The guest rooms bring together old Berlin building charm and modern comfort. The art is from their own collection. 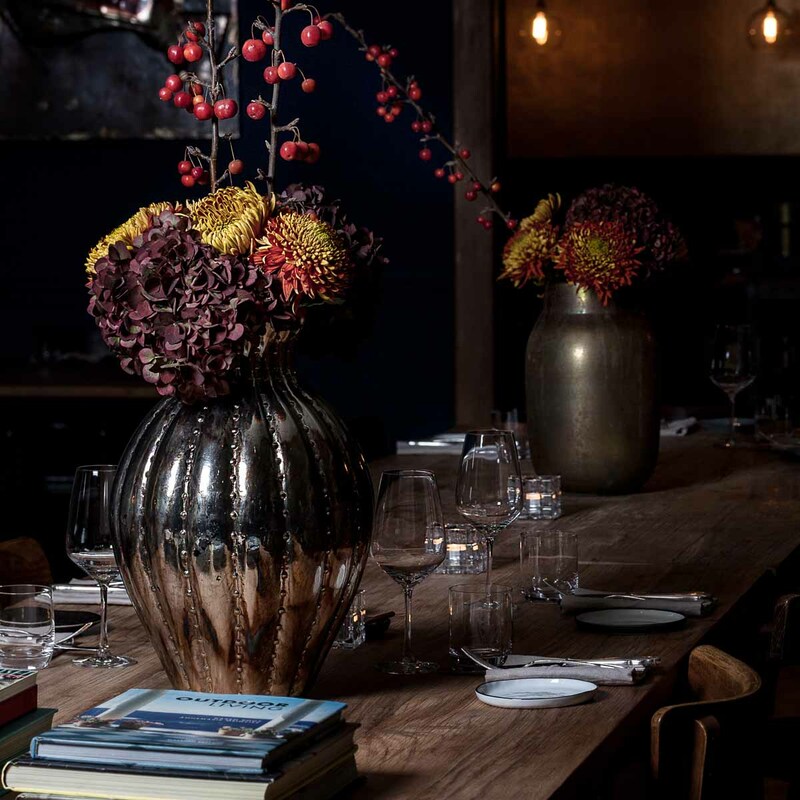 The flowers on the historic bar and the long table, set for communicative and culinary cooperation, are a decor-must for Tim. The spirit of the age shines at Neumond. “Locale for excellent food and drink,” is the concept. David Runowski, a young man and native Pole who previously worked at Hotel Residenz on Motzener See, was brought in for the local delicacies. The German-European theme of the kitchen leaves plenty of room for creativity. White bread with sage butter in a preserving jar is served to whet the appetite. A bowl with natural salt, hand-selected cutlery from the flea market, and the soft cloth serviettes that anyone would love to have at home show a knack for detail. But the best is yet to come. Runowski presents the “pumpkin in three textures” as soup, cannelloni, and crisps. The turbot is accompanied by beetroot risotto, kale, and wine foam. 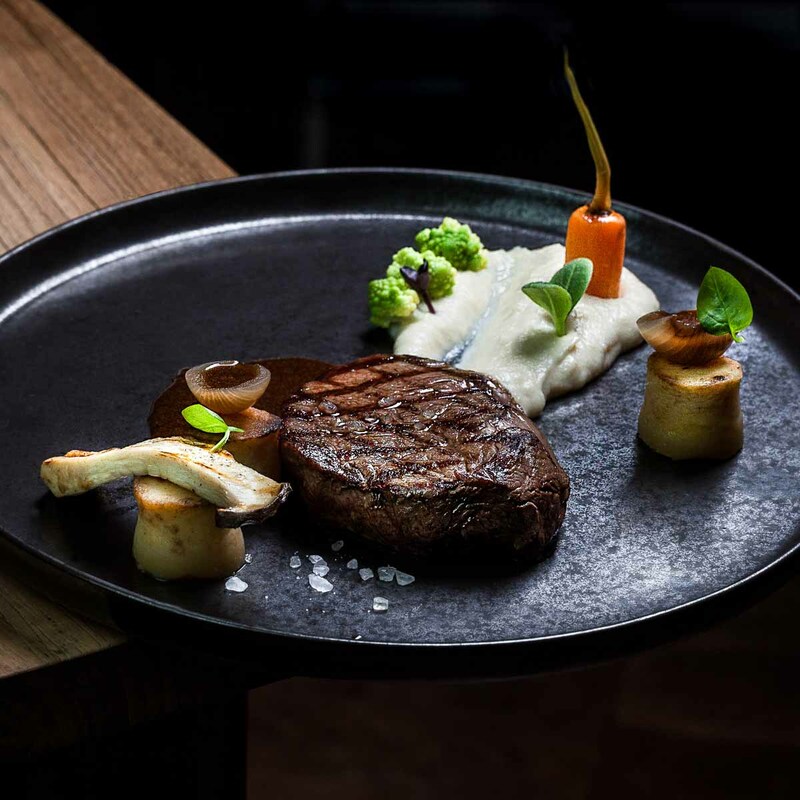 The steak filet pairs wonderfully with girasole purée, potato, mini carrots, and mangold, before a walnut tart with figs, mocha, and caramel provides a sweet finale. 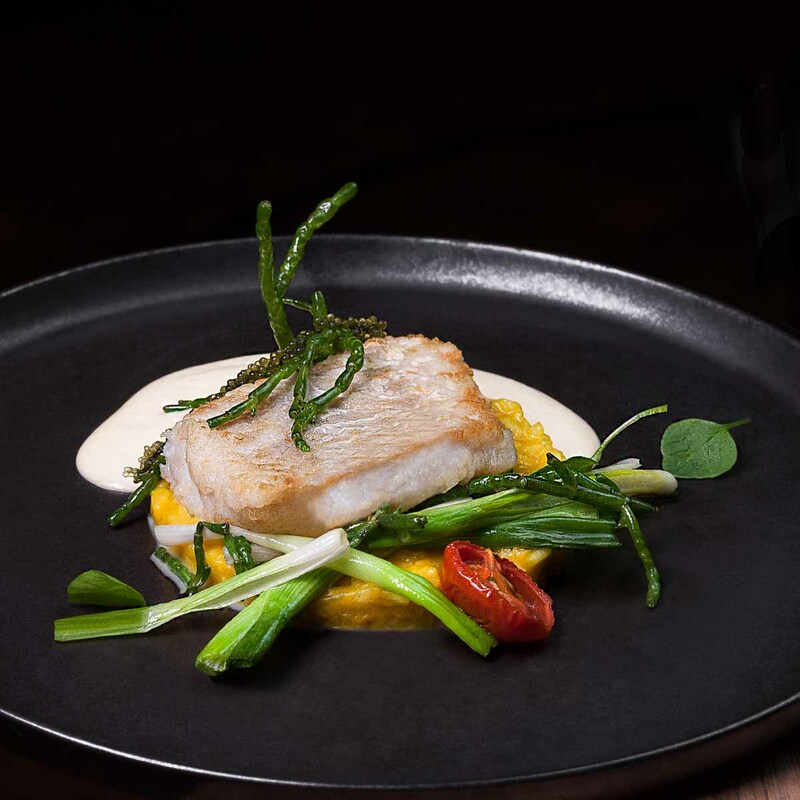 The entire evening takes us on a lovely autumn walk through different aromas and flavours with lively plates that certainly don’t indulge any purism. But good food is one thing, good drinks another entirely. 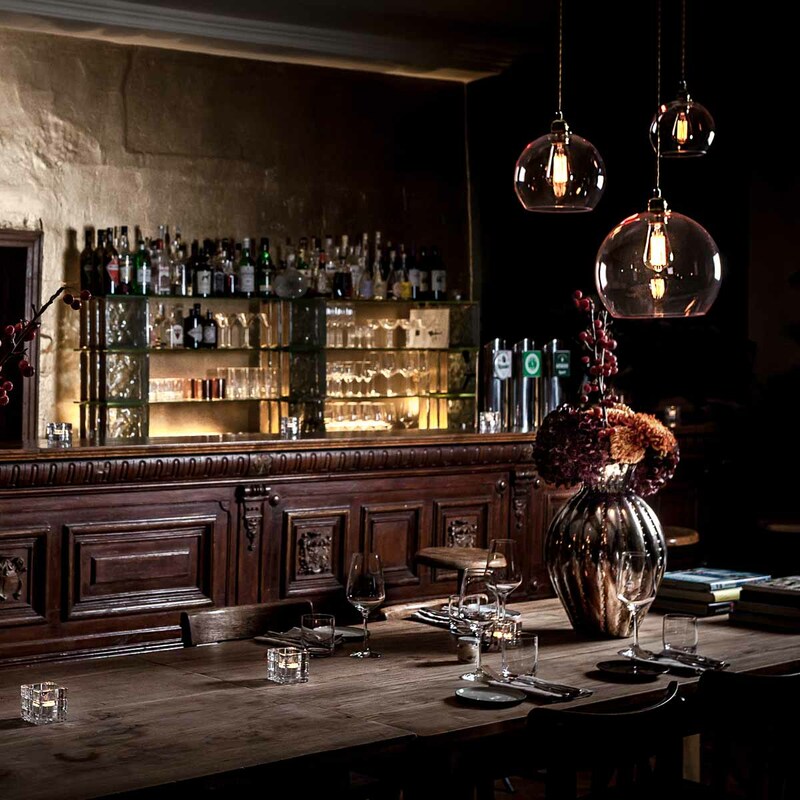 The wine list is intentionally kept short and focuses above all on German winegrower heroes like Prinz zu Salm, Markus Schnieder, and Matthia Gaul. The longer we sit, the more there is to be discovered- like a piano, or the musical accompanists in the restrooms. We could stay here until sunrise. Breakfast is served for the honeymoon guests at Neumond: a fine, light buffet, which outsiders can come enjoy as well.